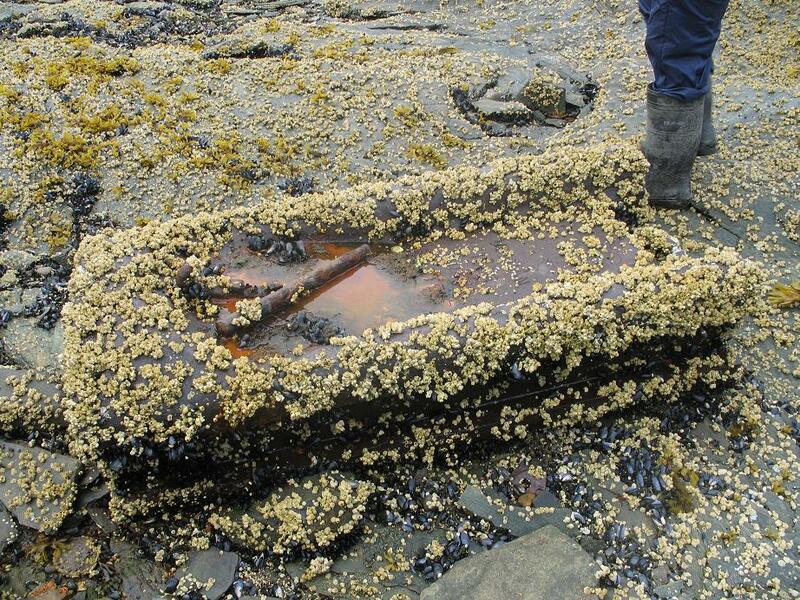 Construction in intertidal zones relies heavily on pilings. 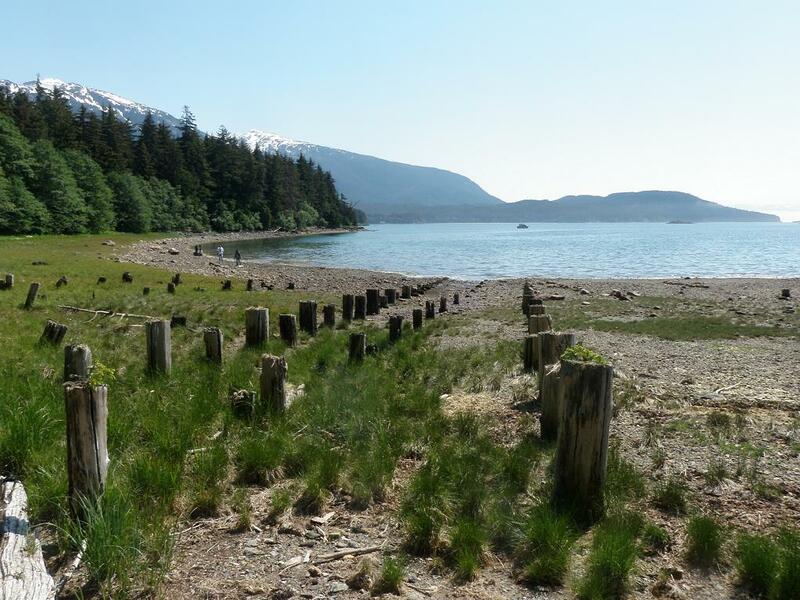 These posts are driven into the sand and mud of the tide flats and ocean bottom. 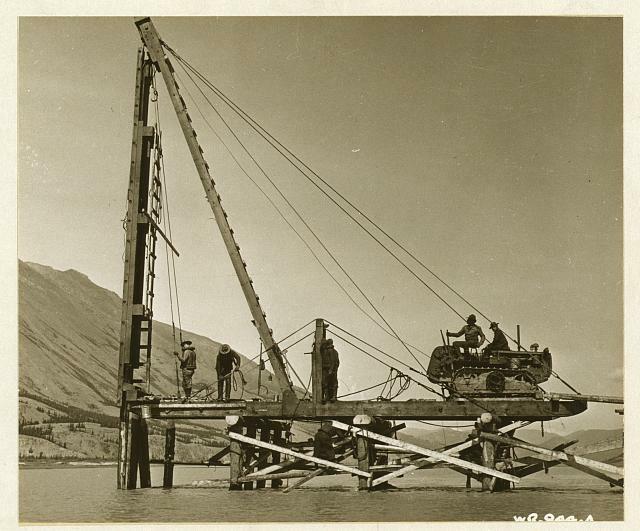 This common construction method was (and still is) used to install docks, fish traps, wharves, and buildings extending out into the water. Pilings are similar to telephone poles in length and diameter. Installing pilings is much like hammering a nail, a large heavy object is used to repeatedly hit the top of the pole, driving it into the ground. 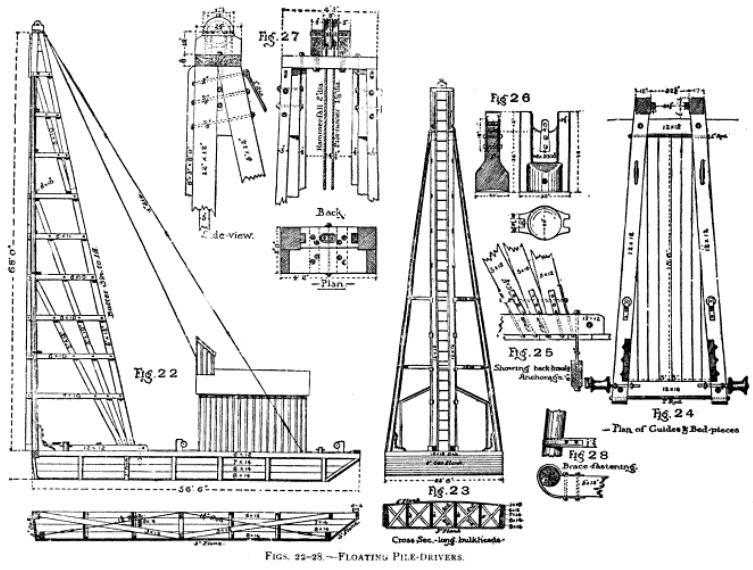 Diagram of a piledriver, from Foster, Wolcott C, “A Treatise on Wooden Trestle Bridges and Their Concrete Substitutes: According to the Present Practice on American Railroads”. 4th Edition, New York, John Wiley & Sons, 1913. In the above design, the hammer (usually a cast metal weight) slides up and down on the vertical section of the tower, pulled by cable from a winch at the rear. Piledrivers could be mounted on skids, barges, rail cars, or other platforms as needed. This design is essentially unchanged from Roman times, when drivers were powered by animals or humans. They later evolved to use steam and then internal combustion power, but the appearance largely stayed the same until the advent of diesel impact, pneumatic, and vibratory hammers. 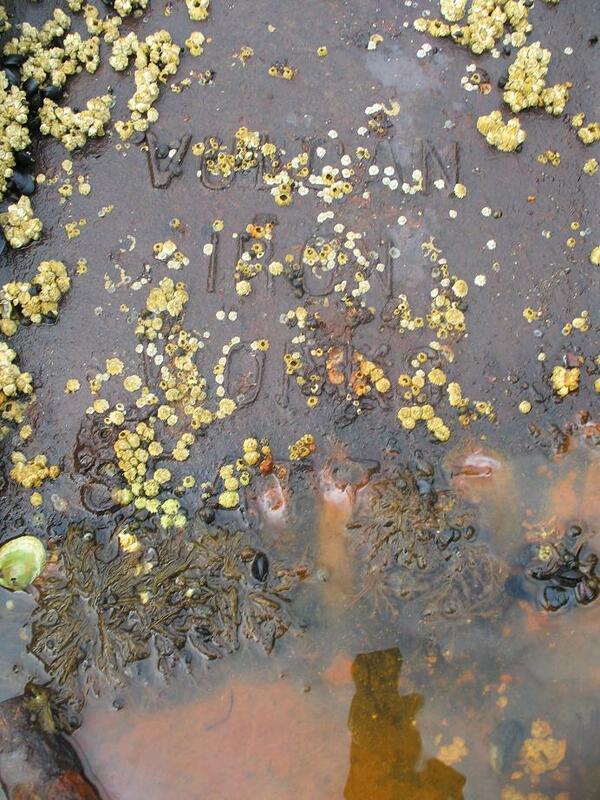 Some information on Vulcan pile driver history can be found here. 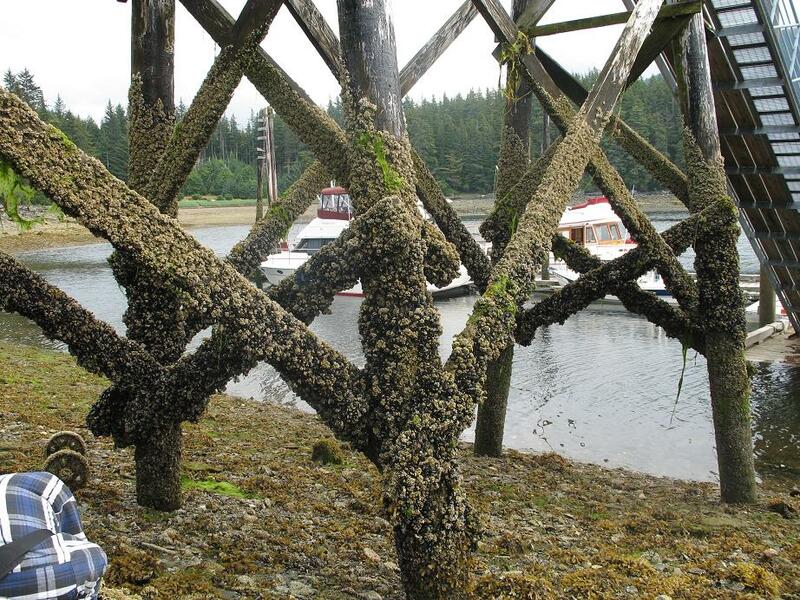 While modern docks generally use creosote-coated (or metal) pilings for rot resistance, early installations used untreated pilings. 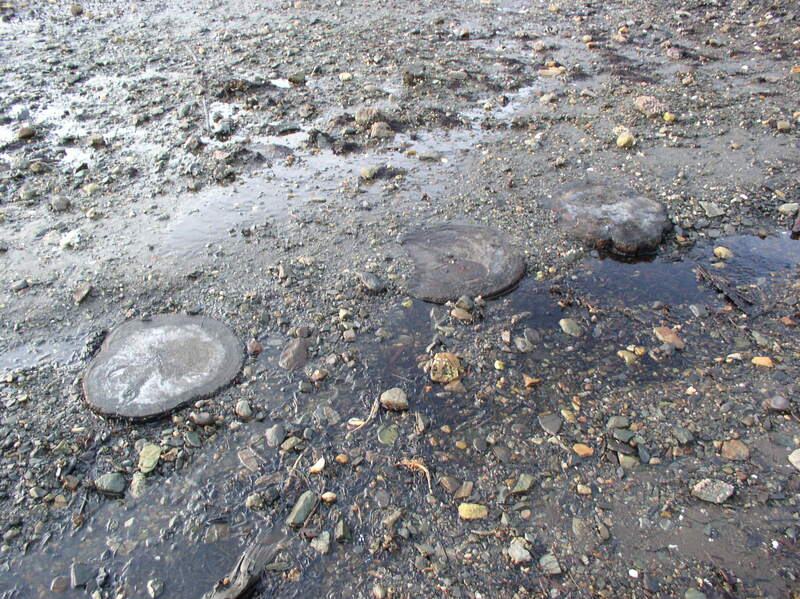 These have largely decayed and disappeared above the water line, although the buried sections and pilings that are above mean water level are more preserved. 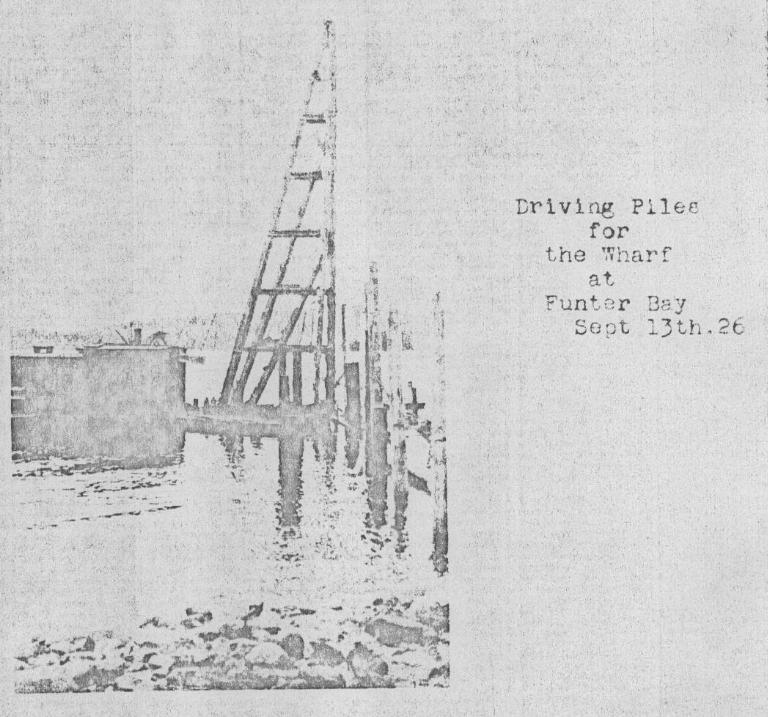 An old pile driver is abandoned on “The Point” in Crab Cove. This was a smaller unit mounted on a skid base, it may have been part of Ray Martin’s scheme to build a logging railroad dock there, or could be leftover from some other project in the bay. The A-frame support collapsed sometime in the last 20 years, I remember when it was still standing. Power was provided by a small stationary gas engine. The large cubical tank or boiler nearby is of unknown origin. 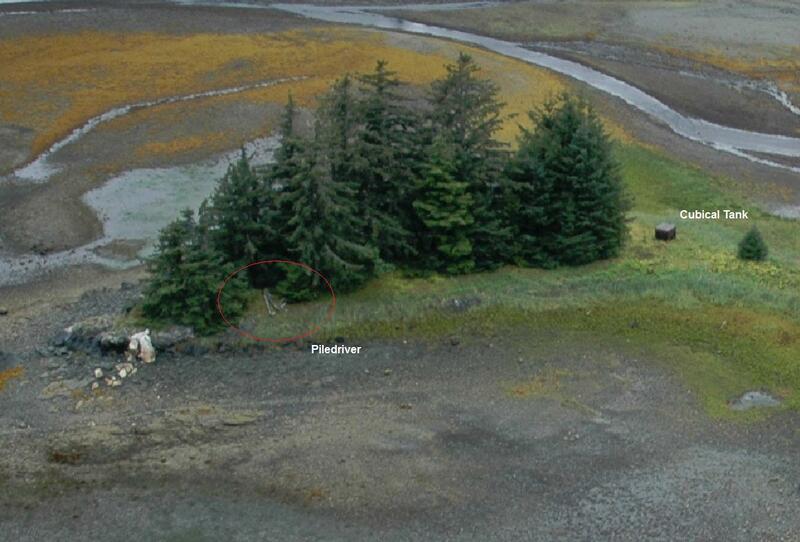 This entry was posted on Saturday, July 19th, 2014 at 6:41 am and is filed under Alaska History, Funter Bay History. You can follow any responses to this entry through the RSS 2.0 feed. You can leave a response, or trackback from your own site.